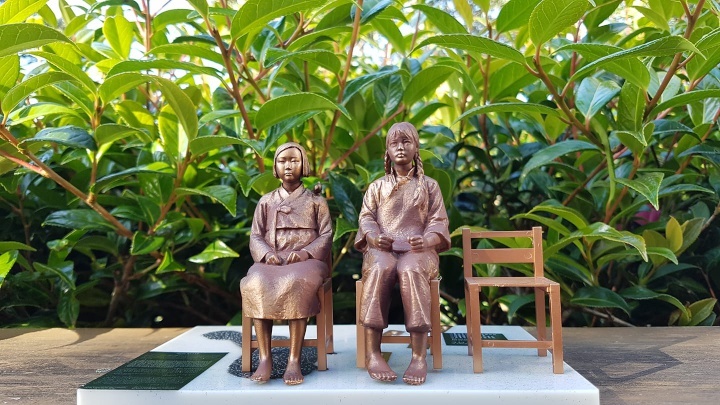 Korean New Zealanders for a Better Future and Mairangi Arts Centre present Women and War: Voices for Peace, an exhibition to remember the survivors of military sexual abuse during the Imperial Japanese colonisation of the Asia-Pacific. “To my knowledge this is the first time these photos or content dealing with this issue have been exhibited in New Zealand” says Rebekah Jaung spokesperson for Korean New Zealanders for a Better Future. Photographs presented in the exhibition are provided by War and Women’s Human Rights Museum in South Korea, and highlights the transformation of the survivors from victims to peace and human rights activists. This is timely in the wake of the global #MeToo movement and the ongoing horror of gender-based violence faced by women, particularly in conflict zones around the world. The launch of the exhibition is on Saturday, 12 January at Mairangi Arts Centre, Auckland, and will include introductory talks from the Women’s International League for Peace and Freedom, Auckland Peace Action, Shakti Youth, Korean Women’s Society, and National party list MP, Melissa Lee. There will also be a documentary screening on the following Saturday, 19 January and a public talk and solidarity event on Wednesday 23 January. Details can be found here. The exhibition is supported by The Korean Council for the Women Drafted for Military Sexual Slavery by Japan, War and Women’s Human Rights Museum, and Auckland Council Creative Communities Scheme.